So nice place for holidays. 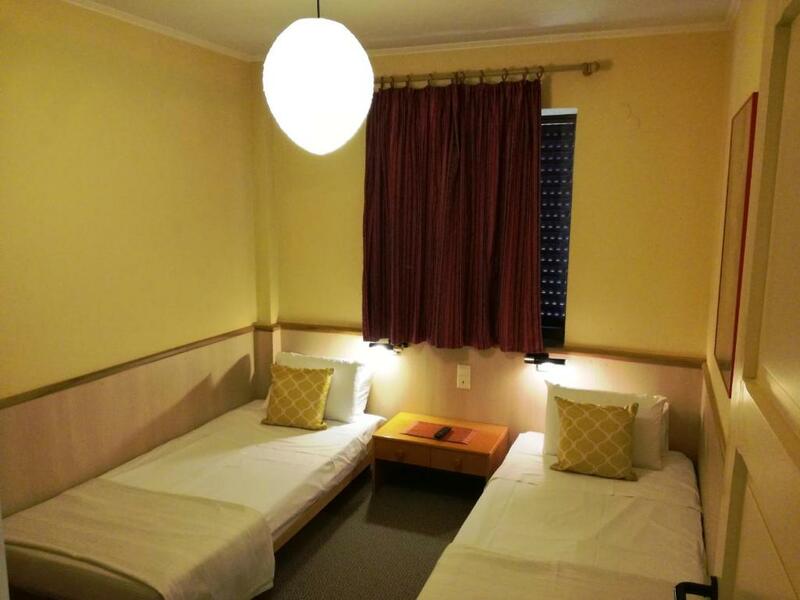 Excellent service, clean rooms. Owners were careful, lovely and welcoming. They treated us with delicious Crete dishes and drinks, also fresh vegetables, watermelons. A housekeeper Helena is so amazing. She cooked tasty treats, including the Greek tzazaki, Dakos and others, clean every day. So wonderful place, comfortable atmosphere that you want to return here again and again. The apartments is located on the seaside. The closet beaches are sandy. Quite and pleasant place. Good parking on the territory, new modern furniture, soft pillows, good air condition with various modes. Very spacious accommodation. Hosts a delight only too willing to help. Cleanliness outstanding. Kitchen and bathroom ready to be used soap showergell,washing up liquid, water in fridge and welcoming bottle of wine and oil - a bonus. 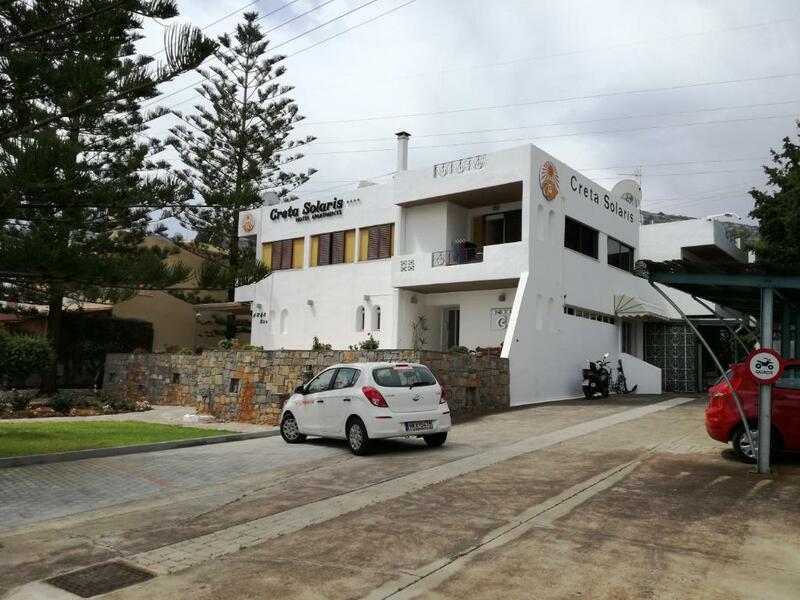 from the moment we arrived the staff were very friendly & helpful , the apartment was very spacious, cleaned every day & the best equipped we have stayed in our 18 visits to Stalis. Highly recommended , great location & amenities. Очень хороший отель, грамотный персонал. А самое главное очень отзывчивый. Замечательное уютное место. Терраса выходит в милый тенистый дворик. При наличии малыша - идеально. Есть все необходимое. Внимательные и заботливые хозяева. Порадовала возможность покупки питьевой воды прямо в отеле. Очень удобно. Все чистое и в хорошем состоянии. С удовольствием вернулись бы снова. Спасибо за хороший отдых! У нас был замечательный вид с балкона, одновременно на сад и на море. Небольшая кухня в аппартаментах оборудована всем необходимым. В отеле постоянно есть в наличии питьевая вода по цене супермаркета. 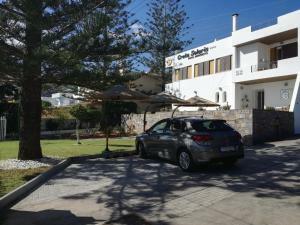 Das Creta Solaris Aparthotel ist für einen Familienurlaub das absolut ideale Hotel! Es liegt in fünf Gehminuten zum Strand, nebenan gibt es eine Bäckerei, der nächste Supermarkt ist ebenfalls nur fünf Minuten entfernt. Die Familie, die das Hotel betreibt, ist unglaublich zuvorkommend und das Personal äußerst freundlich. Nur zu empfehlen!!! Очень уютный отель, как раз для отдыха с детьми, в номере есть все необходимое( большая кухня, посуда, плита, утюг с гладильной доской) очень приветливые хозяева отеля, мы жили на первом этаже, можно сразу выйти в сад, позагорать, есть детская площадка. Wi-fi отлично работает. Для семейного отдыха лучше не придумаешь!!! Все очень удобно и продумано до мелочей. Хорошая уборка, управляющие отелем очень заботятся о своих проживающих. Тихо, море, основная прогулочная улица в 10 мин ходьбы. Автобусная остановка, пекарня в 100 метров. Все очень понравилось. Советую для отдыха с детьми и семьей. 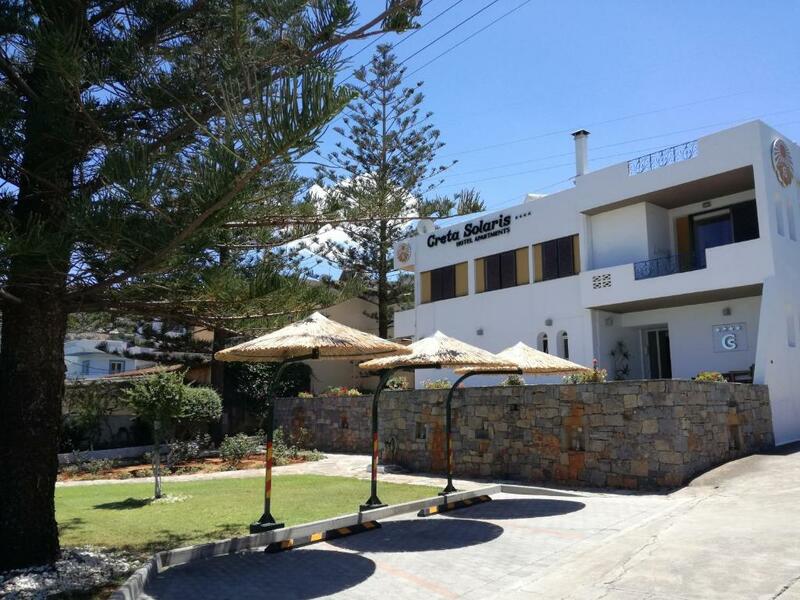 Lock in a great price for Creta Solaris Holiday Apartments – rated 9.5 by recent guests! Creta Solaris Holiday Apartments This rating is a reflection of how the property compares to the industry standard when it comes to price, facilities and services available. It's based on a self-evaluation by the property. Use this rating to help choose your stay! The 4-star Creta Solaris is a luxury apartment hotel, ideal for family holidays offering apartments of three different types. The air-conditioned apartments are designed and furnished in the traditional island style in order to afford every comfort. Creta Solaris Hotel Apartments is 19 mi from the airport and the port of Heraklion and 5 mi from the Crete Golf Club. The 2.5 mi-long sandy beaches are in a distance of 500 feet from the hotel. 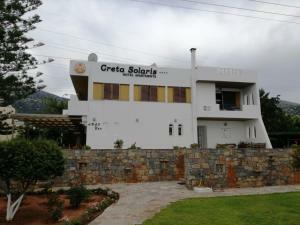 When would you like to stay at Creta Solaris Holiday Apartments? House Rules Creta Solaris Holiday Apartments takes special requests – add in the next step! 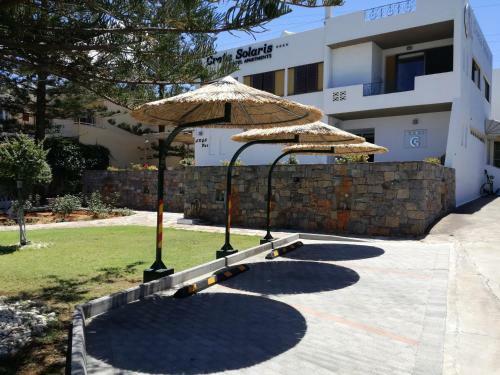 Creta Solaris Holiday Apartments accepts these cards and reserves the right to temporarily hold an amount prior to arrival. Please note that quad bikes are not allowed in the hotel and only one other vehicle per room is allowed. Please note that late check out is available at extra charge. 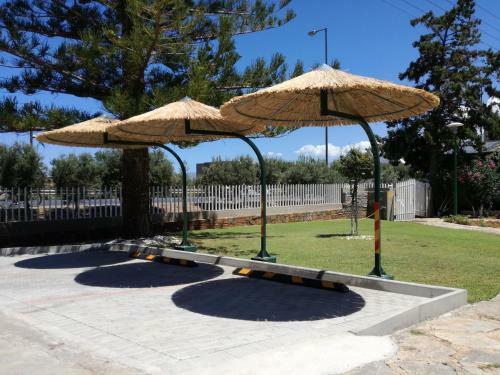 Please inform Creta Solaris Holiday Apartments of your expected arrival time in advance. You can use the Special Requests box when booking, or contact the property directly using the contact details in your confirmation. We found the pillows rather firm.